A HUGE thank you to Spay Neuter Kingston Initiative who included Flossie, one of our females, in their 12 Spays of Christmas campaign! Thanks to SNKI, we will have one spay paid for by this generous group. Will update you as we go into the new year and get our girl into the vet for her surgery. Check them out at spayneuterkingstoninitiative.org. It has finally happened – Andy (also known as Scruffy and several other names) has been neutered. This is a good thing – he can now live the rest of his life without the pressures of mating. This guy knows where to go for a bite to eat and some love so I bet we’ll be seeing him as he focusses more on loving than fighting. Operation Oreo is officially a success! 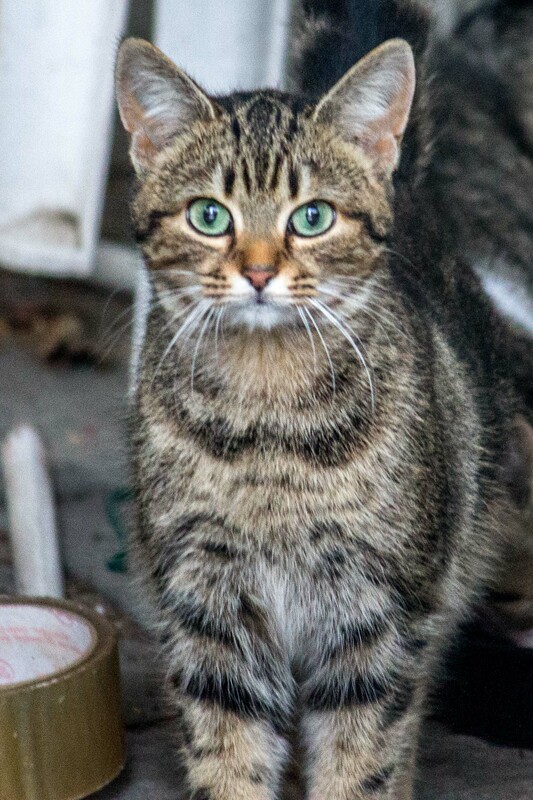 The first order of business for the Lyndhurst Feral Cat Project was to capture this stray rabbit who had been living in the village since the summer. 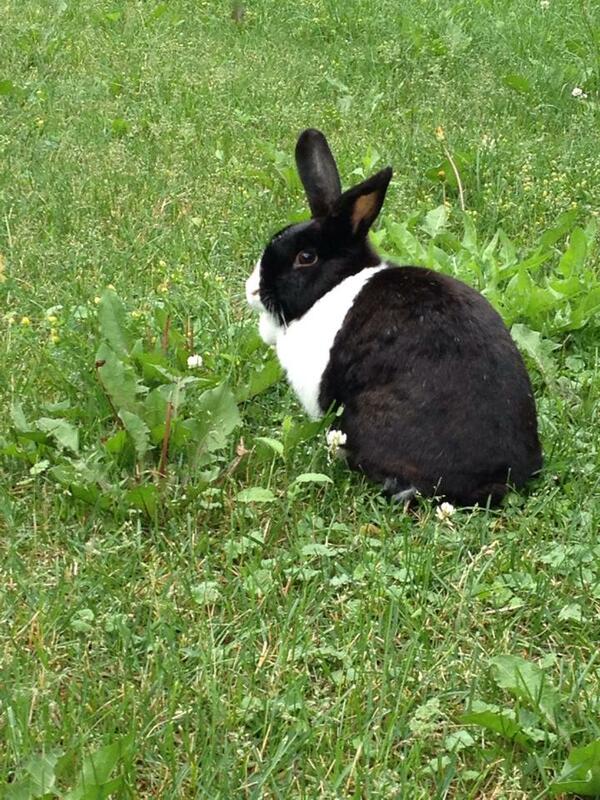 Thanks to a generous committee member, Oreo will now have a warm, dry home and won’t have to worry about predators or exposure or the difficult life of a domestic rabbit out in the world. Congrats on finding your forever home, Oreo! We’re just getting started….please click ‘Follow’ on the right sidebar to keep updated via email and/or like us on Facebook. Help spread the word – we need all the support we can get. Stay tuned!